Confirmed! Sources Reveal Kylie Jenner Is Two Months Pregnant, It’s A Girl! After Kylie Jenner teased her fans with ‘baby bump’ photos, fans and followers jumped with joys after knowing that Kylie is gonna have a baby. After all the speculations of Kylie Jenner and Travis Scott are expecting their first child or not, here comes announcement from the inside source. After rumours of her pregnancy went viral, reality star confused us if she is pregnant or not with showing off her bare stomach on her IG account. The rumours about 20-year-old reality star Kylie Jenner pregnancy is finally clarified. The reality star has yet to announce about her pregnancy with her boyfriend Travis, but the confirmation of her pregnancy is given by a representative of her father Caitlyn Jenner on Monday. 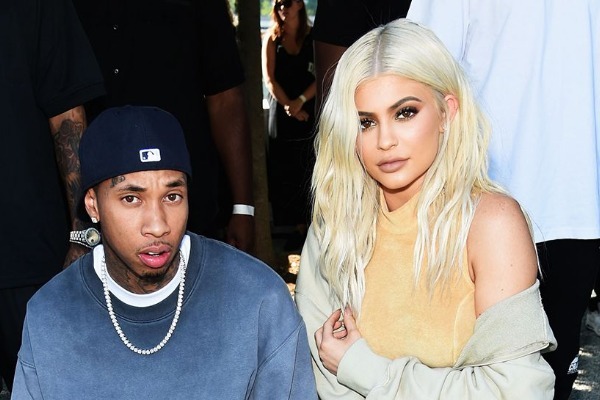 Caitlyn Jenner’s representative also said that Kylie and rapper Travis are two months pregnant and all set to start their family with their first daughter. According to a leading source, Travis was already sharing about his first baby news with his close friends since last two months. The rumor mill also has it that Kylie will deliver her first baby in first week of Feb.
A few days back, Kylie’s sister Kim Kardashian along with husband Kanye West announced arrival of their third child into their family through surrogacy. Kim and West are gonna welcome their second daughter and the due date for their baby is almost same time as Kylie’s. Isn’t that exciting!! Confirmed! Kim Kardashian, Kanye West Expecting Third Child Via Surrogate & It’s A Girl! Next : After Kylie Jenner, Khloé Kardashian Is Pregnant With Tristan Thompson’s Baby!